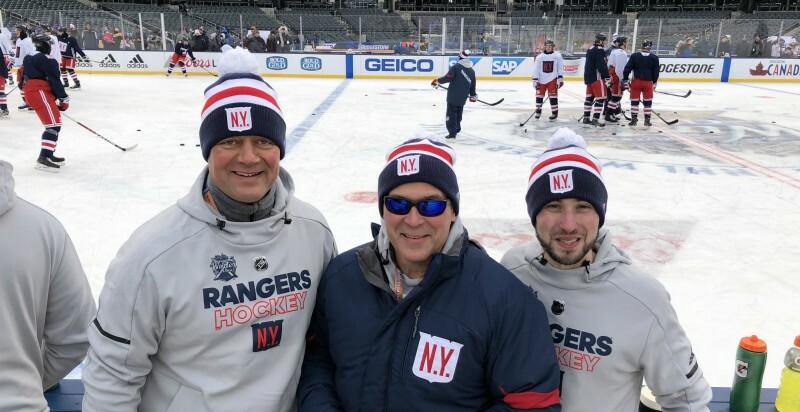 He didn’t know how to skate and he couldn’t clear a puck, but the New York Rangers wanted him on the team. 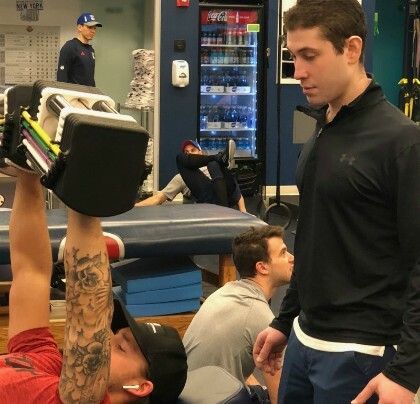 As a performance analyst for the New York Rangers and their American Hockey League affiliate organization, the Hartford Wolfpack, Adam Virgile '13 monitors players' stresses, performance and injury risk. It may be an exercise science major’s dream job but, for Virgile, it’s a labor of love. Following graduation from the University of Vermont in 2013 with a B.S. in Exercise Science and a minor in Nutrition and Food Sciences, Adam sat for the Certified Strength and Conditioning Specialist exam. 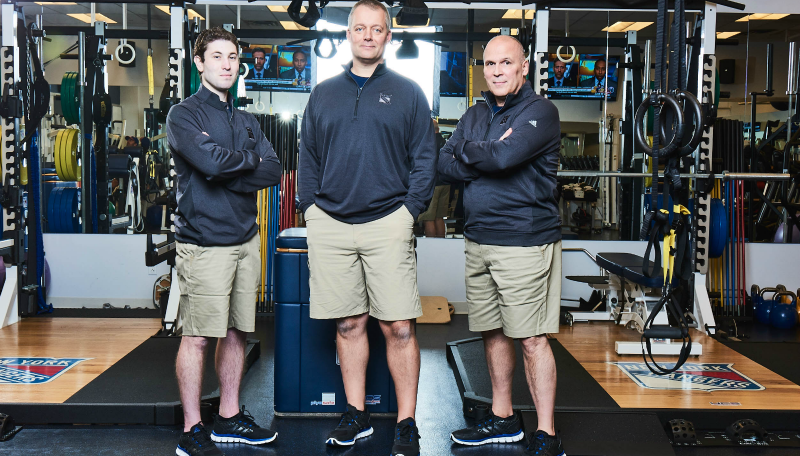 That summer, the New York Rangers hired him as the assistant strength and conditioning coach. His primary roles were to implement strength and conditioning programs with the players and manage physiological data collection. The team was impressed with Virgile’s knowledge of human physiology and nutrition. Virgile credits his UVM education and clinical practice as a student at CNHS. Virgile frequently speaks to CNHS students taking classes from his former professor, CNHS Associate Dean Jeremy Sibold. Virgile admits that his career path is not typical and he advises students to focus on intrinsic rewards. Along with keeping up with current research on sports nutrition, exercise physiology, nutrigenetics and nutrigenomics, Virgile enjoys watching and playing basketball, American football and lacrosse. With countless hours of practice, he finally taught himself how to skate and now he plays in pick-up hockey games.